Karabas, Ismail, Jeff Joireman, and Shinhye Kim. (Forthcoming) “Why and When Witnessing Uncivil Behavior Leads Observers to Punish Frontline Employees and Leave the Firm.” International Journal of Hospitality Management. Yurt, Oznur and Ismail Karabas (2016), “Internationalization Process of a Worldwide Leading Company – Get More Electronics: A Teaching Case Study,” International Journal of Teaching and Case Studies, 7 (1), 1-14. Karabas, Ismail, Ioannis Kareklas, T.J. Weber, and Darrel Muehling. “Ethical Considerations Related to E-Retailer Review-Fixing Programs (RFP): Examining the Impacts of Review Valence and RFP Salience.” Under review. Karabas, Ismail and Jeff Joireman, “’Tipping Required’: Development of a Model to Understand Customer Reactions to Non-Voluntary Tipping Systems.” Being revised for submission. Karabas, Ismail, Sarah Lefebvre. “’What am I Tipping you for?’ Customer Response to Tipping Requests at Quick Service Restaurants.” Two studies collected. Karabas, Ismail and Jeff Joireman. “Motivation Behind Gift Giving over Generations.” Two studies collected. Nikolov, Nik, Ismail Karabas. “Social Media WOM: How Social is Your Social Media?” One study collected. Karabas, Ismail and Jeff Joireman (2019) “’Tipping Required’: Development of a Model to Understand Customer Reactions to Non-Voluntary Tipping Systems,” Association of Marketing Theory and Practice (AMTP), Mt. Pleasant, South Carolina. Karabas, Ismail and Sky King (2018), “Managing Online Consumer Reviews: Improving Review Quality,” Association of Marketing Theory and Practice (AMTP), Ponte Vedra Beach, Florida. Karabas, Ismail, Ioannis Kareklas, T.J. Weber, and Darrel Muehling (2017), “Suspiciously Positive: Consumer Reactions to Exceedingly Positive Reviews,” American Academy of Advertising (AAA), Boston, Massachusetts. Karabas, Ismail, Jeff Joireman, and Shinhye Kim (2017), “How Third Party Observers Respond to Overheard Service Failures: Implications for Frontline Service Employees and the Firm,” Association of Marketing Theory and Practice (AMTP), Myrtle Beach, South Carolina. Karabas, Ismail and T.J. Weber (2015), “Measuring New Phenomena: A Review of Consumer Behavior Scale Development,” Academy of Marketing Science (AMS), Denver, Colorado. Karabas, Ismail (2012), “Global Sourcing and Supply Chain Risk Management,” 8th International Student Conference: Empirical Studies in Social Sciences, Izmir, Turkey. Karabas, Ismail, Jeff Joireman, and Shinhye Kim (2017), “Overheard Service Failures: Why Witnessing Negative Recoveries Leads Observers to Punish Frontline Employees and Leave the Firm,” Oregon Marketing Research Symposium, Eugene, Oregon. 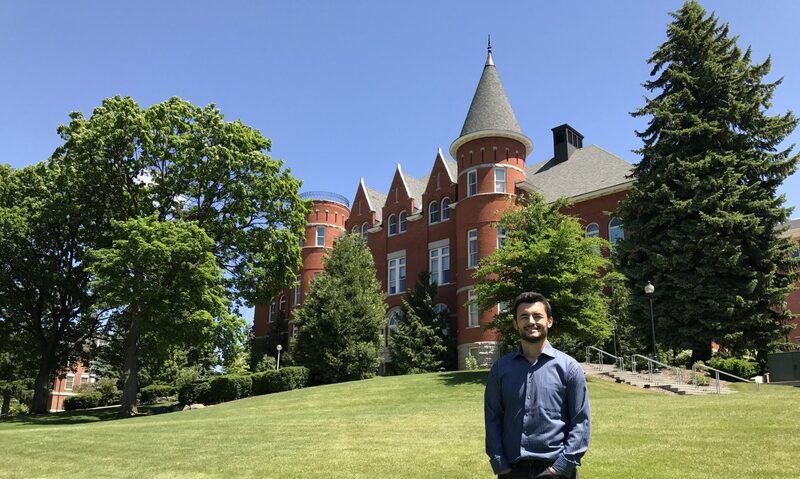 Karabas, Ismail, Ioannis Kareklas, T.J. Weber, and Darrel Muehling (2017), “Review-fixing Programs and e-Retailer-driven Consumer Skepticism,” WSU Research Expo, Pullman, Washington. Karabas, Ismail, Jeff Joireman, and Shinhye Kim (2016), “Negative Open Loop Exchange Spirals: How Third Party Observers Respond to Overheard Service Failures,” Robert A. Mittelstaedt Doctoral Symposium, Lincoln, Nebraska. Karabas, Ismail, Jeff Joireman, and Ioannis Kareklas (2015), “Healing the Self: Parental Gift Giving as a Function of Past Childhood Deprivation,” Wiley Research Exposition, Pullman, Washington.